I had all kinds of things I wanted to talk about in today's post, but then on Saturday I got a text from my husband saying my daughter might have broken her arm. It's one of those messages that, as a parent, you dread getting. It's up there with finding out your kid has lice or had a tooth knocked out during a soccer game. I dropped what I was doing, literally dropped it, and ran to take my daughter to the emergency room. My daughter is...how can I say...not so tolerant of pain. She was sitting on the porch when I pulled up and my husband told me the neighbors had all been over to inquire about her well-being. "You could hear her screaming for a three block radius," he mentioned as we hustled her into the car. At the emergency room she was calm enough to argue with the admitting nurse. "I can't get out of the wheelchair to be weighed. Can't you just weigh me and subtract the weight of the chair?" "Is it her leg?" the nurse asked. "No, no. It's her arm," I assured her. The X-ray technicians received similar treatment. "You have no idea what you're asking me to do," she wailed at the suggestion she move her wrist a few degrees to the left. This statement was followed by the same kind of loud shrieking you might hear at a One Direction concert or a maternity ward. From the safety of the protective X-ray screen one of the techs told me, "You're gonna have fun with that one when she's a teenager. "Yes," I said. "When the time comes, I'm betting natural childbirth won't be the path she chooses." Later, when she'd be duly weighed and filmed we settled in for the interminable wait familiar to anyone who's ever visited an emergency room. We alternated between upbeat talk about plans for the summer, sad tears about the possibility of not being able to participate in any more Maypole performances and frustration. "What's taking so long?" she demanded, eyeing the call button. "The service around here is terrible!" In the end we left with a splinted arm that's bigger than anything else on her body. It's a small fracture. We find out if she gets a cast later in the week. Before I sat down to write this post I checked on her in her room. "Mom, I think Ibuprofen makes you cry," she said looking at me with weepy eyes. "No, it's just for the pain." "But I feel so sad!!!! I know it's the Ibuprofen. I'm certain of it! It takes away the physical pain and just leaves you with the emotional part of it." I was tempted to tell her it's normal to feel sad about a broken bone or that it could be a surge of tweenage hormones or generalized angst about all the big changes coming up in our lives (more on that later), but instead I decided not to argue. "You're probably right," I said which brought out a smile. Because sometimes, depending on who you are, being right is more important than being factual. Of course, that's not something I know from personal experience or anything. Seriously, you should all just reread the first sentence in the last paragraph and go with me on this one. Labels: She may be right with her Ibuprofen theory. Causes sadness. Who knew. Wonder how the manufacturers could spin it. Writing. Life. Family. Broken Arms. Awww, sorry to hear about your ER visit. I've been to the ER more times than I'd like to admit with my son, though he is a champ when it comes to pain. He broke his arm twice in seventh grade, the second time on the very day he was released to full activity from the first one. If she gets a cast, equestrian insemination gloves are the best for showering. Sounds gross, but they work awesomely. Her ibuprofen logic cracked me up, too. My youngest was a screamer. Periodically we would have to get blood drawn and that was no picnic. I don't envy you, but there is hope. My little wailer did get a bit less dramatic as time went on. She's 29 now and just last August she managed to give birth via Natural Childbirth - and she said it wasn't too horrible! So sorry she broke her arm! Just keep loving on her, Mom. Aww... I've broken toes several times, hope she is better soon. 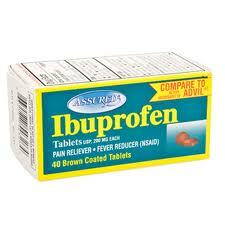 And you be sure you take some of that ibuprofen as well, as there is nothing like tween in pain. :) Hugs! Ouch. Sorry to hear about the drama. Possum is do not fun, especially for those with low thresholds for it--and anything in hearing distance. My daughter was like that. Poor thing! I agree about the Ibuprofen comment. It does that to me too. I hope she heals quickly! Shell, I have no idea where to find equestrian insemination gloves, but I'm going to look for them! Caitlin, agreed. I'm keeping it a secret from my husband. Donna, yes, hopefully she'll feel better soon. Emily, I swear I think she's on to something! I totally get it! I have one of those girls too. :D Luckily she hasn't actually broken anything yet. But you'd think she did when she sprained her leg last year. I soooo agree with that last statement even though sometimes it's hard to remember. Oh sad! But those animal cast pictures are super cute!!! Oh yikes, that would be my older daughter. My younger one is a lot tougher. And you are right. Sometimes you just have to let them be right. Oh I'm so sorry! Your answer was perfect though. Agreeing with someone always boosts his or her ego. My oldest daughter was a screamer. So much so I once had to tell a wide eyed young boy in the waiting room: Wait until you see the great big girl who comes out. You may laugh. I would have put my money on her being childless. She had two, both natural, in her mid thirties. There's no accounting for it. I hope your daughter feels better soon. When it comes to pain threshold, she sounds like my 10 year old son. It's a good thing he's not a female, that's all I'm saying. Sometimes, all unexpectedly, you get a gem you didn't expect. That first sentence of the last paragraph fits the bill. And is very true. 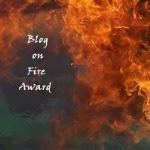 Great post...tragic, heartbreaking, funny, and life-lesson all in one. I hope those are not your animals! OH too funny (not your daughter!!!) but your hunt for equestrian insemination gloves!!! PS: You can get them on Amazon !!! PPS... Hope Daughter gets well soon and I am glad I have three boys - no drama there. 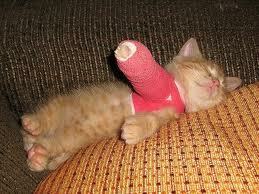 Aw, so sorry to hear about the bad phone call and the arm! Poor kid. It's so true no mom ever wants to get those calls. I have the exact opposite problem with my girls. They don't even tell me when they are hurt. The Husband has them thoroughly brain-washed into thinking that if they complain at all, they are wimps. So my daughter BROKE her arm and didn't want to tell me. She waited until she couldn't take the pain anymore and quietly said, "I think we might need to take a ride to the ER Mom." Then showed me her arm. Needless to say, I freaked! I yelled! And I carried on more than she did. She only started to cry when they had to set it. But even then, I cried way louder and much harder than she did! 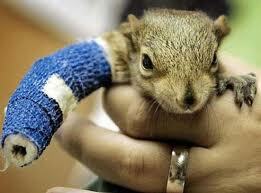 Aw, sorry to hear about her fracture. :( I'm sure my days of that are coming. Yikes. Those pics are too cute tho. Poor little critters. Aww, I'm sorry to hear about your daughter. I fractured my arm some years ago and still remember how bad it hurt. But it healed quickly, and I hope hers will too. that totally suxs! let the kittens comfort her :) they are pretty darn cute casted. get it...casted!